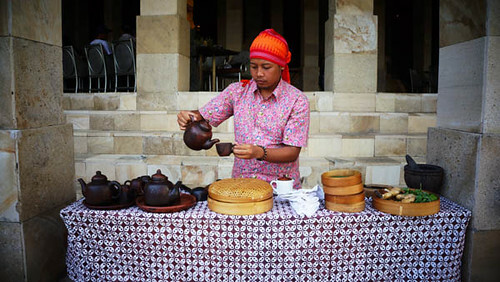 Traveljunkieindonesia.com – I was able to experience a 3-course meal Indonesian lunch at the Amanjiwo restaurant, Magelang, Central Java. It was perfect! 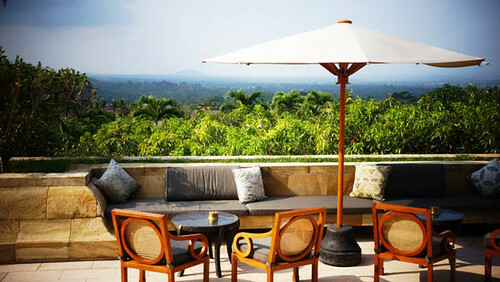 It was traditional, modern, stylish, and it had a spectacular views. 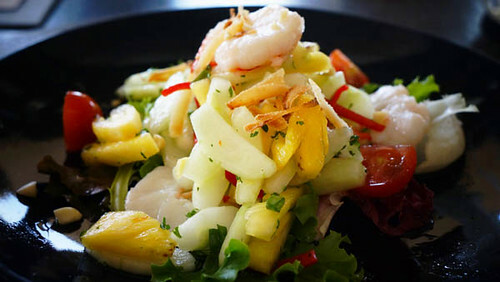 Jelantah Campur – Shrimp, Pineapple, Cucumber Salad with sweet-sour dressing. The salad is fresh, light and with a different sweet-sour dressing. And it was yummeh and heavenly! 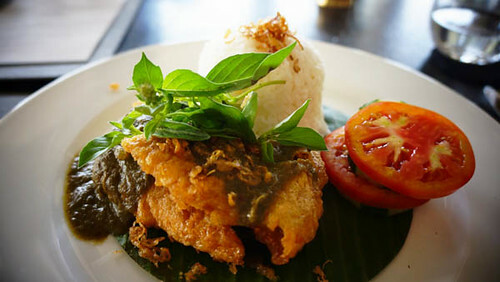 Ikan Saus Kemangi – Deep-fried fish fillet with local basil, green chili & coconut milk. 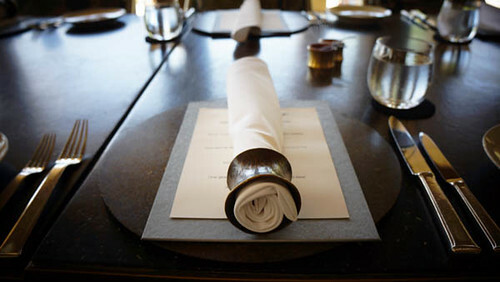 The fish was very good and we were impressed with the customized cutleries they use for the Resort. It was so rich, soft and fresh. Its flavours were delicate and delicious. 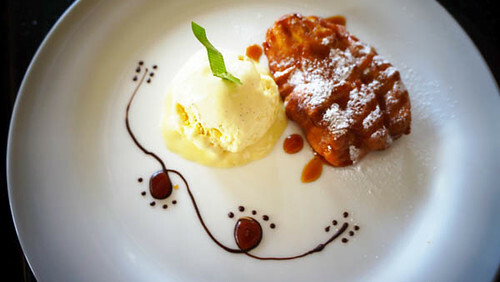 Pisang Goreng – Banana fritters with Vanilla Ice Cream. 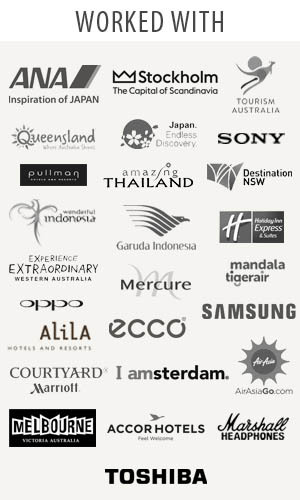 The national dessert of Indonesia presented in a fine-dining serving. Ginger Beer, Bintang Indonesian Beer, and Jamu. 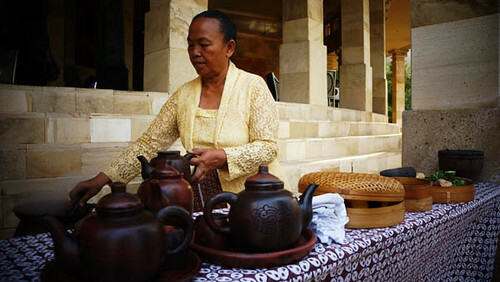 Don’t miss to order their signature drink — Jamu! 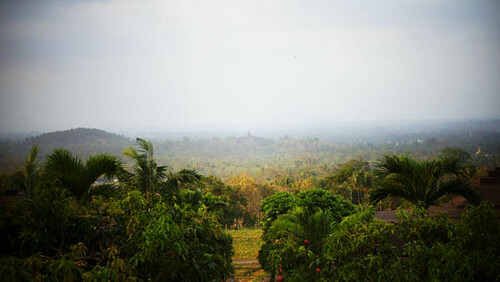 Overall it was excellent and I would definitely come back!